The notorious baby boomers—the largest age cohort in history—are approaching the end and starting to plan their final moves in the game of life. Now they are asking: What was that all about? This short memoir is a series of previously published essays. The author, who is suffering from Parkinson’s Disease, is reflecting back on life as a member of the Boomer generation. Mostly enjoyable, witty, and often humorous, it occasionally veered onto the depressing side — especially since I know I’m on the downside of the hill too. My only dislike was the last essay where the author proposes that Boomers should pay off the national debt. Huh? Hopefully this was a tongue-in-cheek suggestion. After the 2008 crash I know more than a few people who can little afford more taxes much less give back their social security. 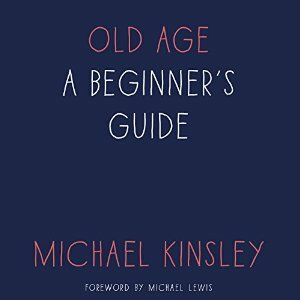 For those who are members of the Boomer generation, this book should resonate with you. Other generations may enjoy taking a peek at what all the boomer fuss was about. The book was narrated by Danny Campbell. Enjoyable and easy to listen to. Source: Review copy provided by PRH Audio. At 3.5 hrs I’m very tempted by your review. Ha, ha — on the paying the national debt. The generation younger than the boomers has more money than we do.